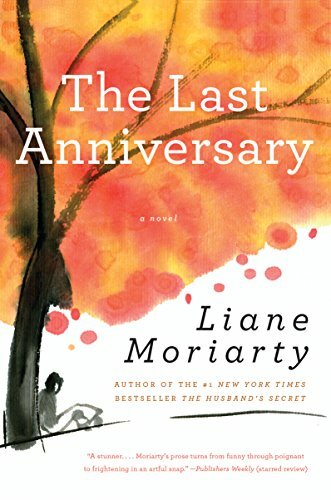 Liane Moriarty rocketed to fame when her best-seller Big Little Lies became a must-watch HBO series starring Nicole Kidman, Reese Witherspoon, Shailene Woodley, Laura Dern, and Alexander Skarsgard, but if you loved Big Little Lies, you have to check out her other novels. She does domestic life and the plot twists that come with it like no one else. 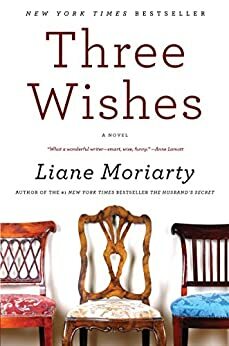 She’s the perfect author for lovers of shows like Desperate Housewives and I cannot wait for Big Little Lies season 2, even if there isn’t a book and that freaks me out a bit. A murder…A tragic accident…Or just parents behaving badly? What’s indisputable is that someone is dead. Madeline is a force to be reckoned with. She’s funny, biting, and passionate; she remembers everything and forgives no one. Celeste is the kind of beautiful woman who makes the world stop and stare but she is paying a price for the illusion of perfection. New to town, single mom Jane is so young that another mother mistakes her for a nanny. She comes with a mysterious past and a sadness beyond her years. These three women are at different crossroads, but they will all wind up in the same shocking place. 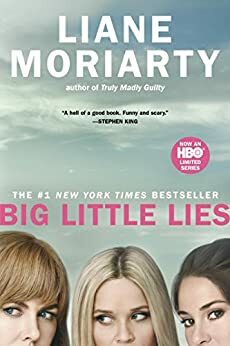 Big Little Lies is a brilliant take on ex-husbands and second wives, mothers and daughters, schoolyard scandal, and the little lies that can turn lethal. Imagine that your husband wrote you a letter, to be opened after his death. Imagine, too, that the letter contains his deepest, darkest secret—something with the potential to destroy not just the life you built together, but the lives of others as well. Imagine, then, that you stumble across that letter while your husband is still very much alive…Cecilia Fitzpatrick has achieved it all—she’s an incredibly successful businesswoman, a pillar of her small community, and a devoted wife and mother. Her life is as orderly and spotless as her home. 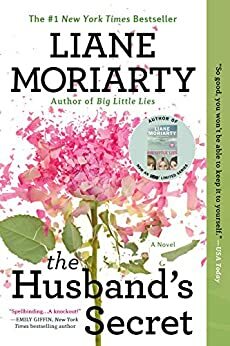 But that letter is about to change everything, and not just for her: Rachel and Tess barely know Cecilia—or each other—but they too are about to feel the earth-shattering repercussions of her husband’s secret. Sam and Clementine have a wonderful, albeit, busy life: they have two little girls, Sam has just started a new dream job and Clementine, a cellist, is busy preparing for the audition of a lifetime. If there’s anything they can count on, it’s each other. Clementine and Erika are each other’s oldest friends. A single look between them can convey an entire conversation. But theirs is a complicated relationship, so when Erika mentions a last minute invitation to a barbecue with her neighbors, Tiffany and Vid, Clementine and Sam don’t hesitate. Having Tiffany and Vid’s larger than life personalities there will be a welcome respite. Two months later, it won’t stop raining, and Clementine and Sam can’t stop asking themselves the question: What if we hadn’t gone? Sophie Honeywell always wondered if Thomas Gordon was the one who got away. He was the perfect boyfriend, but on the day he was going to propose, she broke his heart. A year later he married his travel agent, while Sophie has been mortifyingly single ever since. 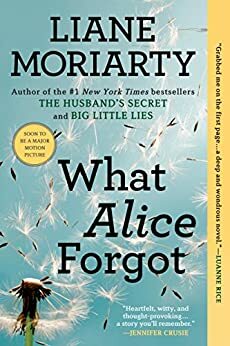 Now Thomas is back in her life because Sophie has unexpectedly inherited his aunt Connie’s house on Scribbly Gum Island—home of the famously unsolved Munro Baby mystery. 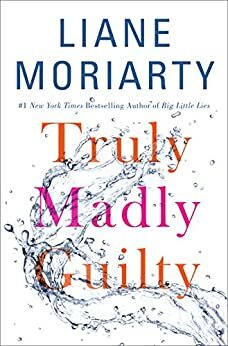 Sophie moves onto the island and begins a new life as part of an unconventional family, where it seems everyone has a secret. Grace, a beautiful young mother, is feverishly planning a shocking escape from her perfect life. Margie, a frumpy housewife, has made a pact with a stranger, while dreamy Aunt Rose wonders if maybe it’s about time she started making her own decisions. 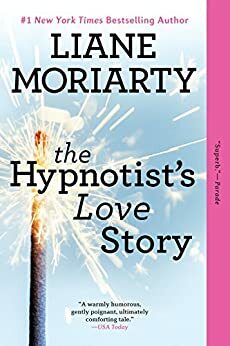 Ellen O’Farrell is a professional hypnotherapist who works out of the eccentric beachfront home she inherited from her grandparents. It’s a nice life, except for her tumultuous relationship history. She’s stoic about it, but at this point, Ellen wouldn’t mind a lasting one. When she meets Patrick, she’s optimistic. He’s attractive, single, employed, and best of all, he seems to like her back. Then comes that dreaded moment: He thinks they should have a talk. Braced for the worst, Ellen is pleasantly surprised. It turns out that Patrick’s ex-girlfriend is stalking him. Ellen thinks, Actually, that’s kind of interesting. She’s dating someone worth stalking. She’s intrigued by the woman’s motives. In fact, she’d even love to meet her.